It's a drama about the growing romance between two people who have third-rate lives, but still want to live life their way regardless of what others say. Official video: Park Seo Joon greetings for "Fight My Way"
SPAMMING AND HEATED DEBATES ARE STRICTLY NOT ALLOWED!! Individual actor / actress information or pictures that has no relevance to the drama thread topic should be posted in their respective threads (including posting interview pics of each actor/actress without any relevant articles or news related to 'Third-rate My Way' drama) - you can post them in their own thread (actor / actress own thread)!!! Post will be updated as more information surfaces. Actor Chun Woo-hee is preparing to return to the drama. Chun Woo-hee, the agency's agent, said, "Chun Woo-hee is in the process of reviewing the drama 'Sammy Way'." 'Sammai Wei' is a KBS 2TV drama scheduled to be broadcasted in May. If the appearance is concluded, it becomes the main drama of the first terrestrial drama of Chun Woo Hee. Chun Woo-hee, who has been active in the film, has come over to the drama edition and is interested in what activities he will show. 'Sammai Wei' is a new work by Kris Chun Cho from KBS 2TV single-action drama 'Baek Hee is back'. Money draws not only the background but also the story of a man and woman living a life without anything. In the play, Chun Woo-hee had a dream of announcer, but she is still discussing it as a heroine character who works at a reception desk at a department store. On the other hand, Chun Woo-hee has shown unique and attractive acting in movies. "Sunny", "Sungjoo", "Guest", "Guksung" and so on. Actor Park Saw-jun was on the KBS 2TV new drama 'Sammai Wei'. On October 10, a drama official said, "Park Seo-jun has been offered to appear in 'Sammy Way'." 'Shemmai Wei' depicts the success of the martial arts, in which men and women who have been tempted to live in supporting the world push the wheels and rise to the main character of life. The male main character, Gong Dong Man, who was proposed by Park Suk Joon, was a deadly fighter in Taekwondo suit during his school years, but now lives as a contracted office worker. I will challenge UFC player instead of Taekwondo to fly again. 'Shemmai Wei' is a work that became a hot topic in front of the casting of the actor. Chun Woo-hee turned down the dream of the announcer in the play and was offered the Choi Ala station to work at the information desk at department store. He is also an event professional announcer to achieve his dream like Gordon. This drama is attracting attention as a new work by Kris Chun Choon, "KBS Baek Hee is back" on KBS 2TV single-act. Lim, who had been acclaimed as a well-maid drama over expectations, once again anticipates whether he can show a reversal. 'Sammy Way' is in full casting. It is scheduled to air in May. [!] Park Seo Joon and Kim Ji Won confirmed to appear in new KBS drama "Ssam My Way". Park Seo Joon and Kim Ji Won will be starring in KBS’s upcoming drama titled “Fight My Way” (tentative title). “Fight My Way” is a romance drama that shares the story of two young people who try to take the paths they want in life despite the harsh reality that keeps bringing them down. Park Seo Joon will be playing Go Dong Man, a former taekwondo player who used to be famous but ends up becoming a nameless mixed martial arts fighter. Meanwhile, Kim Ji Won will play the role of Choi Ae Ra, a woman who works at a department store’s info desk but dreams of becoming a news anchor. They’ve known each other for a long time, and the two of them are such good friends that they can even joke about each other’s past break-ups. The drama aims to capture viewers’ hearts with a realistic romance story, rather than a sugar-coated one. I am looking forward to this drama!!!! 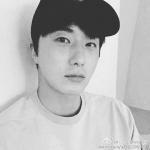 Love Park Seo Joon as an actor and I like Kim Ji Won. My fingers are crossed that this drama is well written and is a success. @sakura2016 @zagigirl We have another PSJ drama! THANK YOU SO MUCH CHINU FOR THE SHOUT OUT, I was searching for the drama's thread and thought non was made yet when I didn't found any (it's me being bad a t searchong apparently )!! I'M SO HAPPY AND EXCITED!! AND WE WILL SEE MORE ACTION FROM HIM! The Lead cast for upcoming KBS drama 'Third-Rate My Way' has been revealed! kim Ji Won got the female Lead role while his male Lead has also been confirmed. Actor Park Seo Joon will play as Kim Ji Won's male Lead. 'Third-Rate My Way' is a drama young couple who will be forced to face the reality of life. Park Seo Joon will take a role as a Taekwondo player. His charm is excited to be seen on the drama. 'Third-Rate My Way' airing date will soon be announced. Are you excited for this pair up? Park Seo Joon and Kim Ji Won to work together in new KBS2 drama! Park Seo Joon and Kim Ji Won have been cast in the upcoming KBS2 drama 'Ssam My Way'! SEE ALSO: Introducing allkpop's new chatroom! The drama will portray the growth and romance of two characters whose lacking skills in their desired fields force them to lead unhappy lives. Park Seo Joon will be playing the role of an MMA fighter named Go Dong Man, a former taekwondo athlete with high energy and passion. Kim Ji Won will be in the role of Choi Ae Ra, who used to dream of becoming an announcer but ended up working at a shopping mall until she loses that job as well. The two characters in the story will also be longtime close friends who see each other as a friend of the opposite gender rather than a potential girlfriend/boyfriend until their romance buds. Are you excited for Park Seo Joon x Kim Ji Won? I only saw a "soompi thread" but wasn't like the ones e used to and only the title is "soompi" but the lik isn't a soompi forum!! chingu!! yes me too!! I'm so happy we'll have to see him in another drama soon and in action! and I'm looking forward to the OTP!! I'm loving the plot so far and hope the draa turns out good too!! Having played roles in the MBC drama “Kill Me, Heal Me,” “She Was Pretty” and the recently concluded KBS drama “Hwarang,” Park built his reputation as a go-to actor for characters in their 20s. Park will play Ko Dong-man, a martial artist with a very low reputation in his field. Kim also built a following after her appearance in one of the biggest dramas of last year, “Descendants of the Sun.” This drama will be her first appearance in a year since her previous role. Written by Lim Sang-choon and directed by Lee Na-jeong, the upcoming drama was described as a story of characters’ attempts to lead their lives in their own way, even if the society expects and treats them as people with low qualifications. Pan Entertainment, which has produced hit dramas such as MBC’s “The Moon Embracing the Sun” (2012), “Kill Me, Heal Me” (2015) and SBS’ “Doctors” (2016) will be producing the drama. The show is scheduled to air its first episode in May. I always love it when long-time friends ends up lovers!! hope it will be a great drama!! yes!! hihihi from the plot looks like they'll be growin as individuals and lovers which I love!! let's hop fot the best!! That PSJ is one busy fellow. hhhhhhhh yes!! and hope he always be!! it's beneficial to us!! can't wait to see how he'll play Ko Dong Man!! and I liked Kim Ji Won from what I saw of her in High Kick 3 with Lee Jong Seok and DOTS and couldn't believe she's Rachel who I hated in Heirs!! Yes Here Chingu @sakura2016 Great benefit to us..
yes and I'm so excited for his new drama and hope it does really well! !